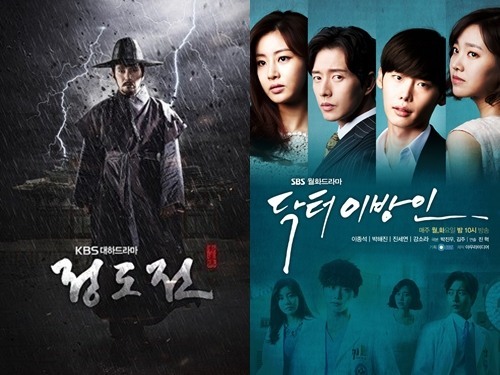 The 2014 Korea Drama Awards ended on Thursday, being praised as more than just a self-praised rom-com festival, with the awards being presented to the dramas of various genres. Actor Kim Soo-hyun won the grand prizes in the television series segments at the Korean drama event. Kim starred in the television rom-com “My Love From the Star” on SBS, which earned him the grand prize and the Hallyu Hot Star Award. Including Kim’s two prices, the rom-com swept a total of five prizes including the best television show prize and the rookie’s award. But the KDA was more than just a floral rom-com festival, as the awards went to the dramas of various genres. The screenplay award went to KBS’s “Jeong Do-jeon,” a classic epic drama on the 14th century Joseon period. The global actor’s award was given to Japanese actor Otani Ryohei of “The Joseon Gunman.” The best actor’s award went to Kim Jae-joong, the lead actor of MBC’s “Triangle” and the member of K-pop boy band JYJ. Actress Kang So-ra of SBS’s espionage action-medical melodrama “Doctor Stranger” won the excellent actress’s award. The best actress’s award and the junior actor’s award went to actress Oh Yeon-seo and child actor Kim Ji-young of MBC’s “Jang Bori is Here!” that surpassed the stunning 40 percent in audience rating. The minor players were risen to the awarding podium as well. 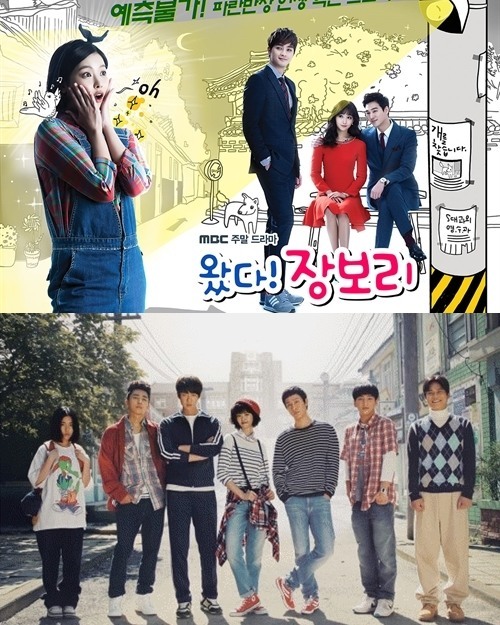 “Reply 1994” of tvN swept three awards, including the production award, the novel actress’s award and the best couple award, reflecting the recent rise of the cable television series.